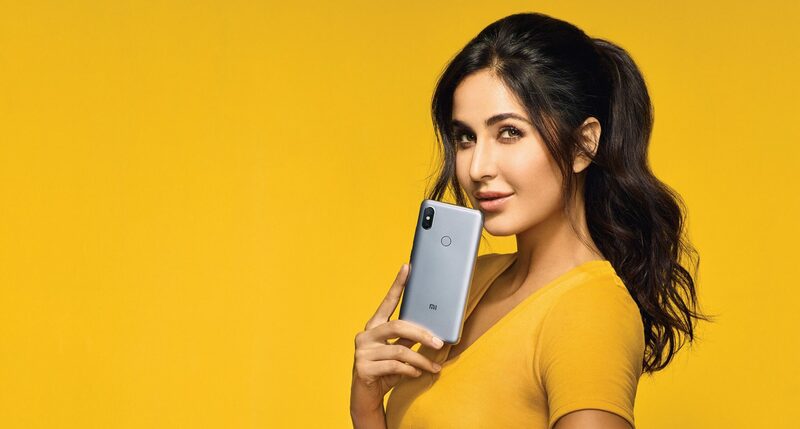 Today, Xiaomi launched a new smartphone in India with the main highlight of the device being the selfie camera. 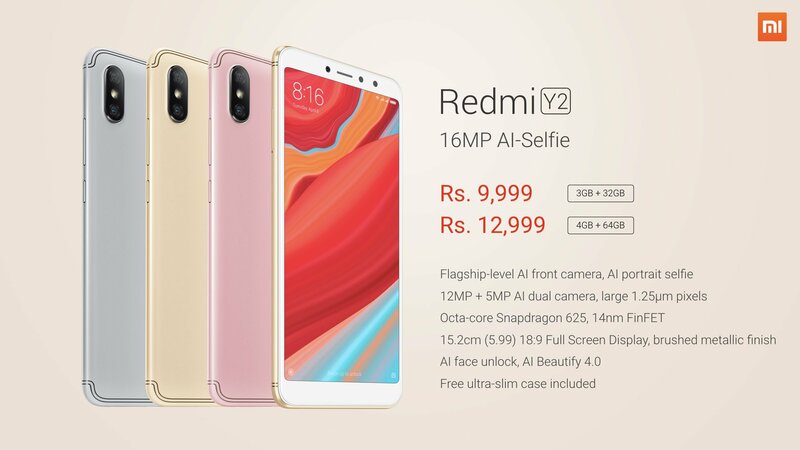 The Xiaomi Redmi Y2 launched in India today, which is a rebranded Redmi S2 for the Indian market. Apart from the selfie camera, there are a few things that make it a pretty good choice like the octa-core Snapdragon 625 processor, excellent dual rear camera setup and more. Xiaomi was teasing this device from last month, and finally, here we have a pretty good competition for Oppo’s Realme 1. No phone is perfect, and same is the case with the Redmi Y2. Unlike the similarly priced Redmi Note 5, it has a pretty average battery size. Also, there is no Full-HD+ display as the Y2 has an HD+ panel. If you are bored of Xiaomi’s design language, then this phone isn’t for you as it has the same 18:9 display with huge bezels all around, empty bottom chin, vertical dual camera setup on the rear like the iPhone X, etc. Apart from this, the Xiaomi Redmi Y2 is a great budget phone that just destroyed the recently launched Moto G6 Play (and even the Moto G6). As mentioned above, the design isn’t different as compared to the previously announced Xiaomi phones. In fact, it has the same vertical dual camera setup on the back & a rear-facing fingerprint scanner. Unlike the Redmi Note 5 Pro, the Redmi Y2 has a full metal back panel with a different design for the Antenna lines. The Redmi Note 5 Pro, if you don’t know, has plastic on top and bottom. The volume rockers are present on the right, and the power button is placed just below them. Just like the Realme 1, the Redmi Y2 has a triple card slot which means you can add two SIM cards and a microSD card at the same time. The design remains unchanged from the front as the Y2 has an 18:9 display with noticeable bezels all around and a huge bottom chin that remains unused. It is weird that despite having space for touch capacitive buttons, Xiaomi went for on-screen buttons on the phone. Talking about the specifications, the Xiaomi Redmi Y2 has a 5.99-inch HD+ display with a resolution of 1440×720 pixels and an aspect ratio fo 18:9. The display has a maximum brightness of 450-nits and a pixel density of 269ppi. Under the hood, there is the octa-core Snapdragon 625 chipset along with the Adreno 506 GPU. The Redmi Y2 has 3/4GB RAM along with 32/64GB internal storage. The storage can be expanded up to 256GB via the microSD card. As mentioned above, there is a triple card slot, so nothing to worry about the SD card slot. There is a dual rear camera setup that includes a primary combination of 12MP + 5MP sensors with AI features like AI Portrait mode, Low light enhancement, etc. One of the highlights of the phone is the 16MP front-facing camera (79.8° wide-angle lens) that features Portrait Mode, Face Unlock, 4500k soft-toned selfie light, 4 in 1 Pixel binning technique, Auto HDR, Beautify 4.0 and f/2.0 aperture. The cameras can shoot only 1080p 30fps video and there is no 4K video recording support. Finally, we have a 3,080mAh battery under the hood, which we expect to last a full day on normal use, thanks to HD+ display and power efficient Snapdragon 625 chipset. Android Oreo 8.1.0 runs out of the box with MIUI 9 on top. 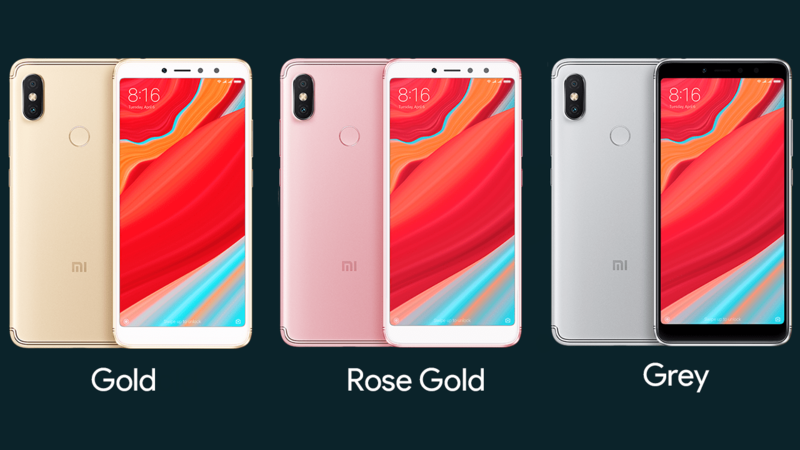 The device will be available exclusively from Mi.com and Amazon.in. The first sale is happening on June 12 at 12PM.